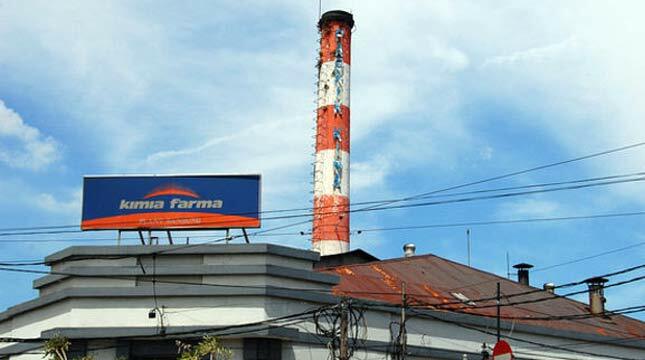 INDUSTRY.co.id -Jakarta - PT Kimia Farma (Persero) Tbk increasingly serious to expand its business abroad. Issuers that produce drugs with the code KAEF is planning to build a drug factory in Saudi Arabia. "Because the captive market and the main door to target the Middle East and Africa market," said President Director Honesty Basyir, in a press conference, in Jakarta, Thursday (19/4/2018). To realize the corporate action, Kimia Farma will partner with Marei Bin Mahfouz (MBM), but does not close the possibility of embracing other pharmaceutical companies. He added that MBM offers the location of a drug factory in Jeddah. Honesty Basyir said it is targeting this year the company has reached an agreement with Marei Bin Mahfouz Group. "We just go to the technical assessment level," he said. He expects, cooperation agreements with MBF and other pharmaceutical companies can be established this year. Next, the new plant starts construction around 2019. "How long to build a factory, I demonstrate the raw material factory in Banjaran, West Java, physical construction takes two years, then we have to certificate and after that, the drug must be tested again to be authorized circulation and takes 6 months up to 1 year to get permission, so three years, "he explained. Questioning the need for funds to build the drug factory, he likens the investment in the factory Banjaran requiring funds amounting to Rp1, 3 trillion. "The interesting thing is if we already have a license from Saudi Arabia, it will apply to all countries in the Middle East region," he said.